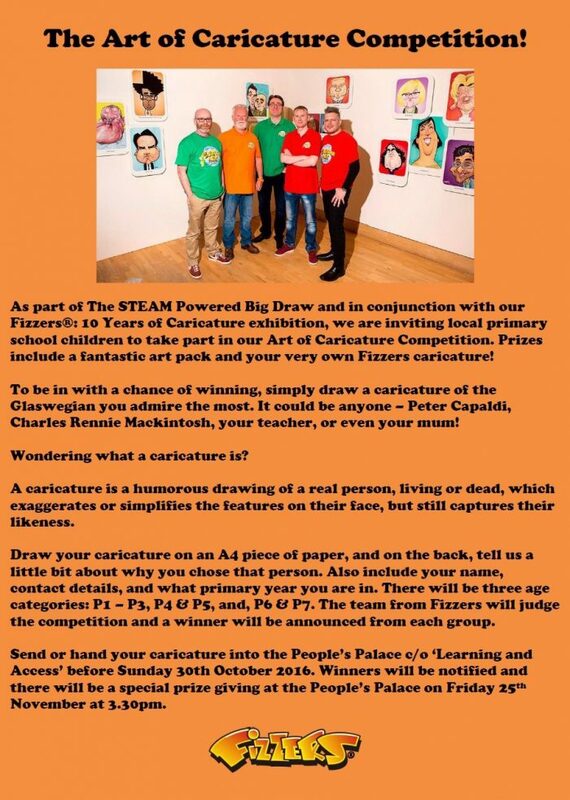 In conjunction with our ongoing #fizzers10 exhibition at The People’s Palace & Winter Gardens, Glasgow and as part of this year’s The Big Draw campaign (taking STEAM as its theme) we are pleased to announce a caricature competition open to all primary school pupils in the city. Details are below and entries are welcome until October 30th. All sessions take place 13.00-15.00, are free of charge with no pre-booking required. There will be a further “Halloween Selfies” session on Sunday the 30th of October, the competition deadline day.